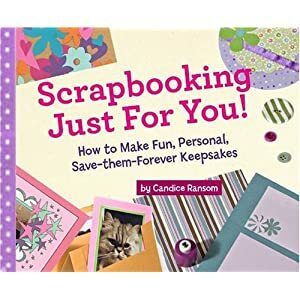 This year, my big project is going to be trying scrapbooking. My plan is to scrapbook the year 2011. So I picked up a couple books from the library to help me figure out some neat designs for it. And this was a great book for that. There were lots of different ideas for different kinds of pages and the best way to make your pages look good. I kind of wish I'd been able to keep the book for a long, long time because I suspect I'd get a lot of use out of it. I may actually put it on my wish list one of these days soon.